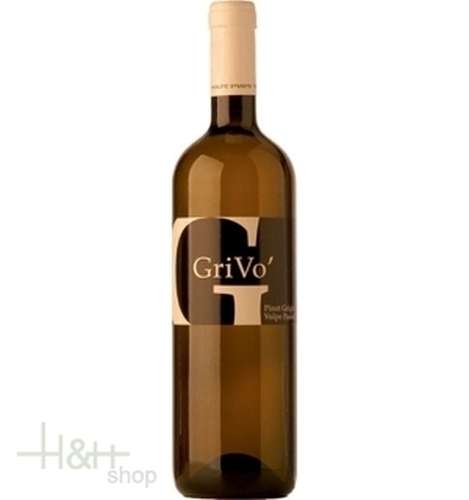 Description: The fruit and spice contained in this Pinot Grigio' aromas make it a wine for all hours and for all tastes. The maceration without the skins, the extremely low quantity of sulphur oxide used, the control of the fermentation temperature, make it a fruity, elegant, fresh, complete, and exciting wine. Serving suggestions: It goes well with seafood, first course with vegetables, white meat dishes. Serving temperature: 10 to 12° C.
Le Grillaie, Vernaccia di San Gimignano, has a pale gold colour; hints of vanilla, with fragrant floral notes (broom, lime) and hints of honey and flintstone; full, savoury, soft but fresh and lively flavour, with an elegant fruity and spicy, lingering aftertaste; it is a particularly well-structured white wine that can last a long time and still improve. CHARDONNAY is a grape native of France, but which is present in all the wine producing areas of the world and has been planted in Friuly for centuries now. Here it found one of the best suited areas and it can be today considered one of the typical grapes of the region.